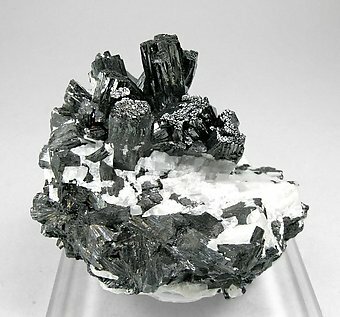 Druse of Manganite crystals with a thin flattened prismatic shape, some of them doubly terminated, with parallel growths, extraordinarily bright and on matrix. The sample is from the Desmond Sacco collection, who's label we’ll send to the buyer. 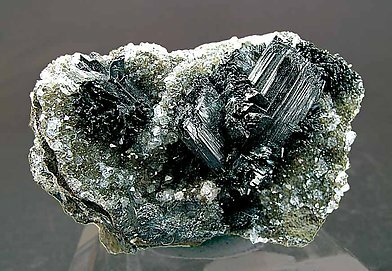 Very aerial growth of divergent Manganite crystals that are very bright and have very well defined faces and edges with perfect terminations. The sample is with a label of the Mineralogisches Institut at Bonn that we’ll send to the buyer. Druse-like growth of very well defined crystals with simple forms and extraordinarily bright. 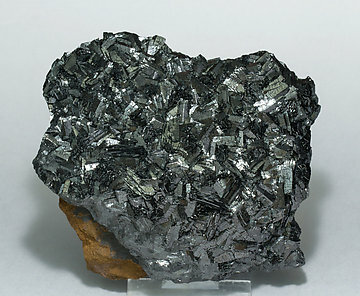 A Manganite sample from a little known Canadian locality, unusual in mineral collecting for an obscure locality to produce a great quality sample. The crystals have been analyzed and we’ll send a copy of the analysis to the buyer. A classic. 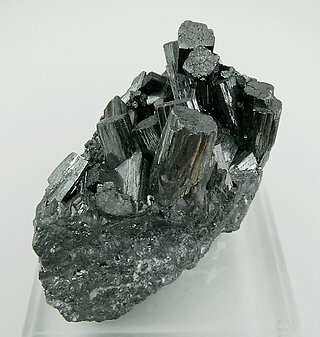 Group of divergent prismatic crystals, very bright and with excellent terminations. 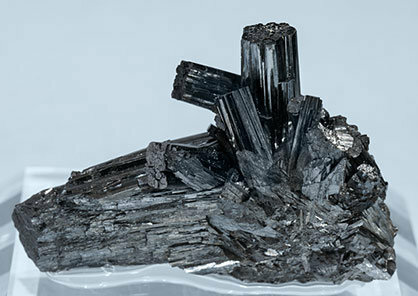 Group of aerial and very well defined crystals with multiple terminations. They are very bright and on a Calcite matrix. A classic-classic. 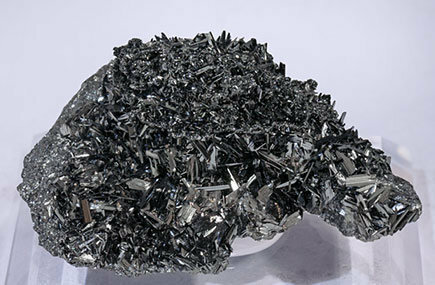 Group of very bright, well defined crystals with bright perfect terminations. The sample is a good representative of one of the great classics of European mineralogy. Excellent specimen for a locality that is not well known for this mineral. 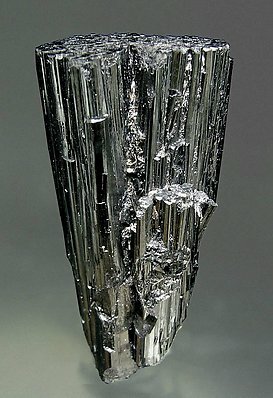 The crystals are very brilliant and prismatic, and appear cylindrical as they have formed by the parallel growth of many needles, which gives them fine markings. At the ends they have pinacoid terminations that are not continuous due to the way they formed. Very good contrast with the Quartz.